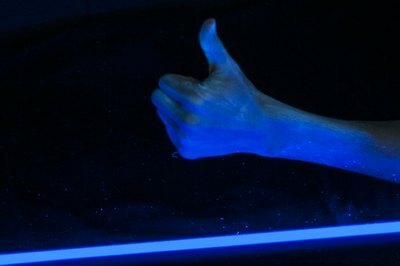 You can make almost anything glow in the dark, including edibles, objects and even people, using fluorescent or phosphorescent chemicals. These chemicals work by first absorbing light from high-energy sources like the sun or electric bulbs, and then automatically emitting the light at low levels over time. They are safe, reusable, easy to acquire, and they offer numerous creative possibilities for parties, games or play time with the kids. Open the bottle of tonic water. Let it sit out for five minutes or until it goes flat. 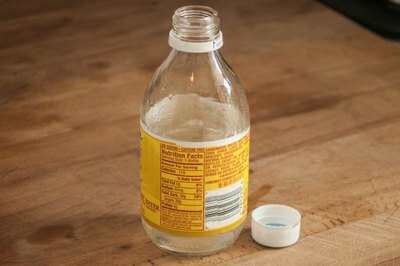 Combine half a cup of the tonic water and half a cup of water in the measuring cup. Pour the contents of the measuring cup into the ice cube tray. Place the ice cube tray in the freezer for one hour. 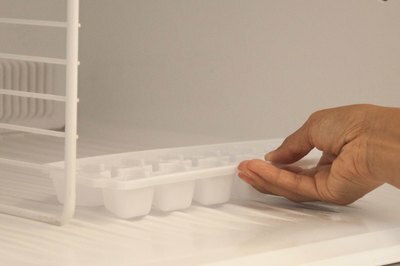 Remove the ice cube tray from the freezer. 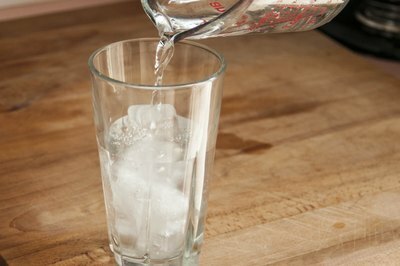 Bang the tray until the ice cubes come loose, place them in a drinking glass and add water. 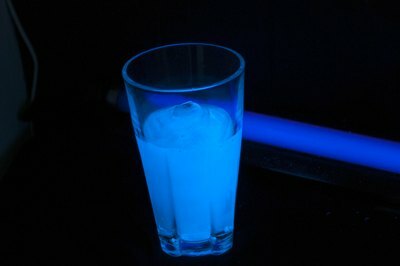 Turn off the lights and turn on the blacklight to see your glass of ice water glow. 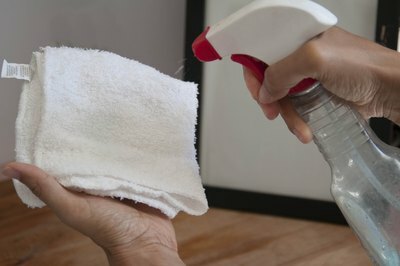 Clean the picture frame thoroughly with a rag and cleaning solvent. 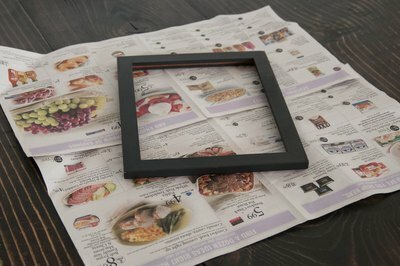 Lay down newspaper to protect against paint drips and spills. 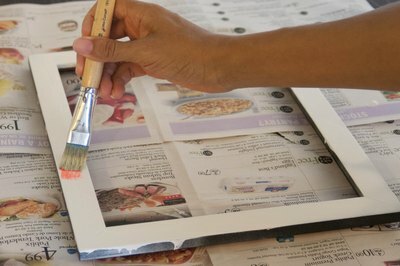 Use one paint brush to apply a layer of clear base paint to the frame. Let the frame sit for 30 minutes or until dry. 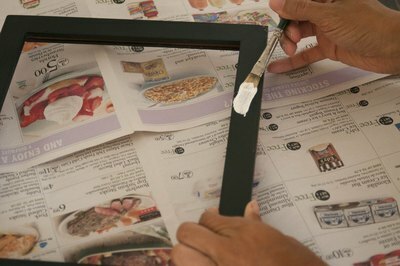 Use the second paint brush to apply a coat of phosphorescent paint to the frame. Let the frame sit for another 30 minutes or until dry. 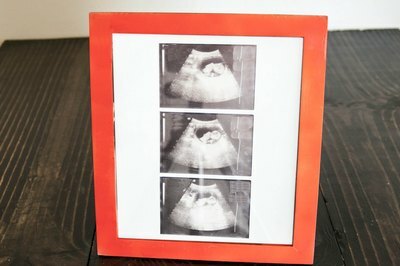 Place a photograph inside the frame. 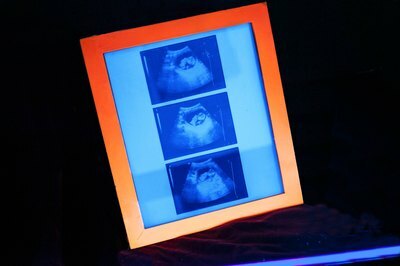 Turn off the lights and turn on the blacklight to watch the glowing frame illuminate the photograph inside. Scoop up clumps of petroleum jelly with your hands and rub it liberally on your arms and face. 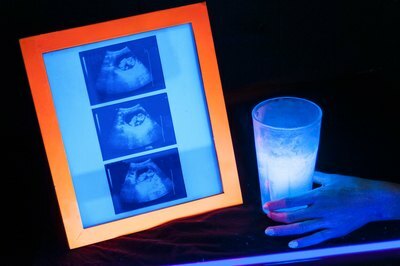 Turn off the lights and turn on the blacklight to see your body glow. Use a mirror to see your face. Use hot soapy water and a sponge to clean off the jelly.